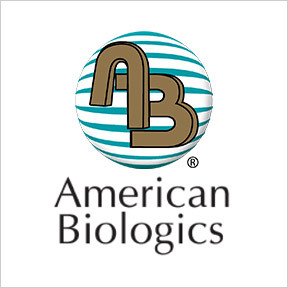 Founded in 1978, American Biologics is a privately owned, entrepreneurial company that is committed to delivering professional grade, science-based nutritional products. Recommended and recognized by healthcare professionals worldwide, American Biologics® is well known for their commitment to quality, as well as excellence in quality control standards. Their line of targeted nutritional products is manufactured with the highest purity grades of raw materials utilizing FDA mandated Good Manufacturing Practices. Designed by biochemists and cell biologists, these well-tolerated products help to bring quality of life through dedicated nutritional support for optimal health. Adrenal Cortex: This customer favorite provides pure bovine adrenal cortex tissue for crucial support of healthy adrenal function, and assists in normalizing the body’s immune and stress response. Gluten, wheat, yeast, soy, dairy and artificial ingredient free. Super B Caps: This hypoallergenic formula provides a full array of highly bioavailable B vitamins in support of optimal health and function. Gluten, wheat, soy, dairy and artificial ingredient free. Lithium: This biologically active, highly absorbable amino acid chelate provides culture-derived low dose lithium readily utilized by the body in support of neurotransmitter balance. Gluten, wheat, soy, preservative, hormone and artificial ingredient free. Ultra Brain Power™: Years of research and development by a highly respected cell biologist produced this clinically proven bioavailable nootropic nutrient formulation. Select ingredients provide antioxidant protection, facilitate brain oxygenation, and support metabolism to enhance memory, concentration, and other higher brain functions in the aging brain. Gluten, wheat, dairy and artificial ingredient free. Contains soy. AB Oxy Flavone: This product provides an array of flavonoid-rich botanicals in support of immune function, circulatory health, liver detoxification, free radical defense and a healthy inflammatory response. Gluten, wheat, yeast, dairy, soy and artificial ingredient free. Ultra NeuroRecovery™: This product provides targeted nutritional support for nerve cell health with select B vitamins, NAC, alpha lipoic acid and L-glutathione. Gluten, wheat, yeast, soy, dairy and artificial ingredient free. Beta Carotene 25,000 IU: This 100% botanical antioxidant formula provides free radical protection with natural, water soluble, non-toxic provitamin A. Gluten, wheat, dairy and artificial ingredient free. Contains soy. 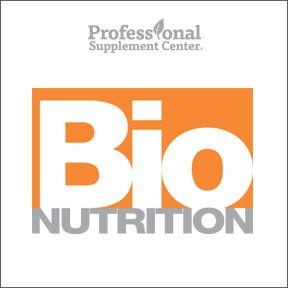 Professional Supplement Center is pleased to announce the addition of Bio Nutrition, a line of quality, science-based supplements. Family owned Bio Nutrition develops cutting edge nutritional products designed to address common health challenges. These uniquely formulated supplements are manufactured with the highest quality raw materials largely sourced in the U.S.A. Products are designed to aid optimal health and contain wild crafted or organic herbs, herbal extracts, whole foods, vitamins, minerals and co-factors for optimum bioavailability. With 50 years of experience in the health food industry, founder Robert LoMacchio remains committed to making your good health and satisfaction his topmost priority. All products are made in the U.S.A and utilize eco-friendly packaging. Gout Out 12% OFF! – This synergistic blend of fruit extracts, vitamins, minerals and herbal extracts is designed to support healthy uric acid levels. Gout Out is most effective when taken for daily maintenance and may also be taken periodically during flare-ups. Ingredients include B vitamins, black cherry extract, boswellia and turmeric. Gluten, soy and dairy free, vegetarian formulation. Pre-Biotic 12% OFF! – This proprietary, clinically researched prebiotic fiber supplement has been shown to significantly increase the populations of beneficial intestinal microflora in support of improved gut health and regularity. Gluten, sugar and yeast free, vegetarian formulation. Maca-Max 1000 mg 12% OFF! – This ultra-pure and ultra-potent once daily formula for men and women provides highly absorbable, gelatinized Peruvian maca root in support of energy and stamina, mental alertness, mood enhancement, sexual wellness, hormonal balance and overall health. Soy free, vegetarian formulation. Blood Sugar Wellness 12% OFF! – This comprehensive blend of superfruit antioxidants, wild crafted herbs, and minerals is designed to support the maintenance of healthy blood sugar levels, promote insulin utilization, support pancreatic function, and aid overall wellness. Ingredients include chromium picolinate, cinnamon extract and fenugreek extract. Soy free. Vitamin D-3 12,000 IU 12% OFF!– This product provides lanolin-derived vitamin D-3 as cholecalciferol in support of healthy bodily functions, and immune, cellular and cardiovascular health. One vegetarian capsule provides 12,000 IU of vitamin D-3. Gluten, yeast and sugar free formulation. 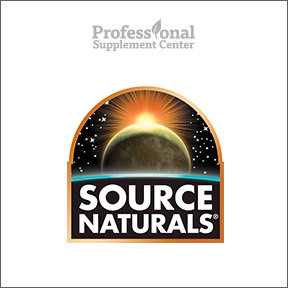 Founded in 1982 under the guiding principal to provide safe, superior quality products that enhance health and wellbeing, Source Naturals® understands that many health concerns develop from functional imbalances related to poor nutrition, stress and environmental pollutants. As a result, their scientifically designed, leading edge nutritional compounds are formulated to work at the cellular level to address the underlying interdependent processes used by the body to maintain homeostasis or balance. As more scientific studies continue to validate the benefits of a balanced equilibrium, better nutrition and a healthy lifestyle, which focuses on health care rather than disease care, Source Naturals® continues to develop and manufacture innovative products to advance wellness and a better quality of life. As an industry leader, Source Naturals® pioneered award winning nutritional formulations that support the individual’s potential to enjoy optimal health. Their comprehensive Bio-Aligned Formulas™ provide pure, well-researched, verified ingredients in their most bioavailable forms to help to address underlying causes of bodily system imbalances. Their raw ingredients, extracts and botanical powders undergo multiple levels of testing to ensure identity, purity and potency before manufacturing in their registered facility in accordance with cGMP, FDA and NSF International regulations. Source Naturals® innovative nutritional supplements combine serious nutrition with the individual opportunity to enhance our vitality and wellbeing. ArcticPure® Krill Oil 35% OFF! – This premium source of phospholipids and omega-3 fatty acids provides support for heart and brain health. This formula includes astaxanthin, a unique lipid-soluble antioxidant, which may help to protect cells from harmful free radicals. Other ingredients include mixed tocopherols, medium chain triglycerides and rosemary extract. Ubiquinol CoQH 35% OFF! – This superior form of bioavailable CoQ10, as Kaneka QH™, offers powerful antioxidant defense and supports the cardiovascular, immune and energy systems along with the brain and liver. Serrapeptase 35% OFF! – Highly rated by our customers who report reduced muscle pain relief, this WholeBody™ systemically active vegetarian and enteric-coated enzyme has been shown to support a healthy inflammatory response. Gluten, soy and dairy free formulation. Vitamin D-3 2,000 IU 35% OFF! – This highly bioavailable from of vitamin D supports immune and musculoskeletal health and promotes intestinal calcium and phosphorus absorption to help maintain healthy levels of these nutrients for strong bone support. Gluten, soy and dairy free formulation.